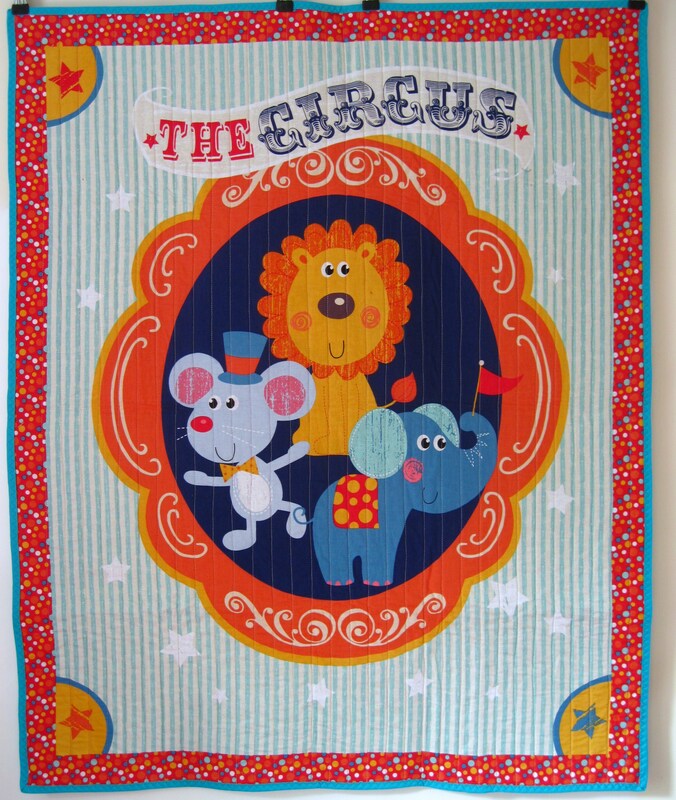 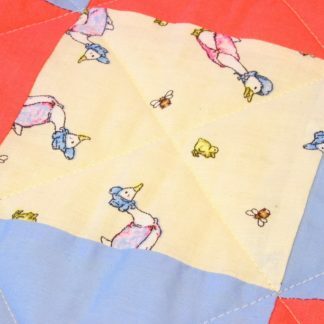 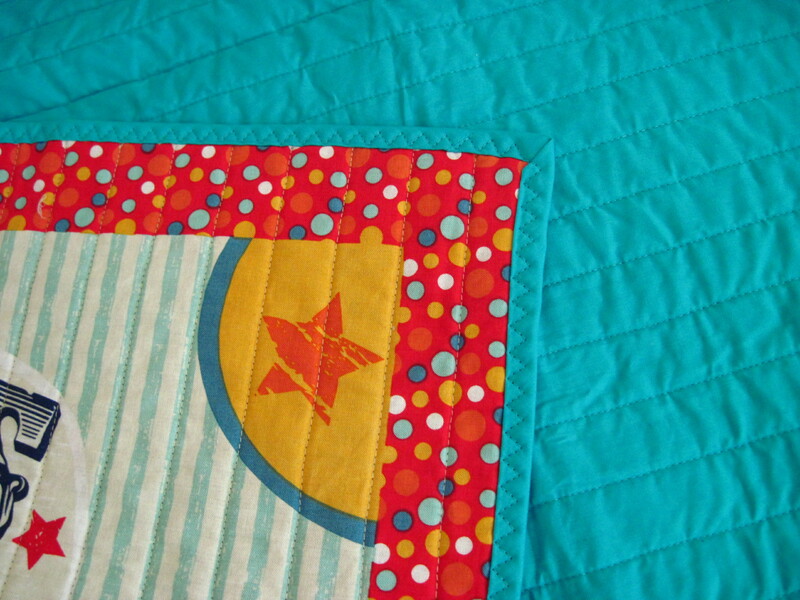 A really bright and fun quilted blanket with circus animals. 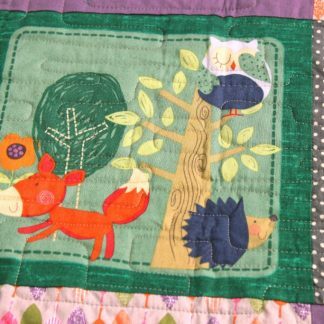 Would look brilliant in any young child’s room. 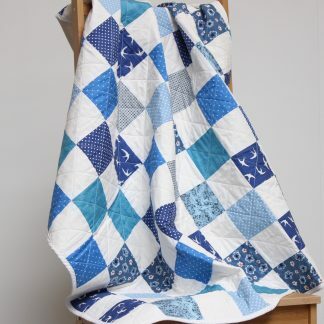 Made with a pure cotton front and back with fleece wadding.